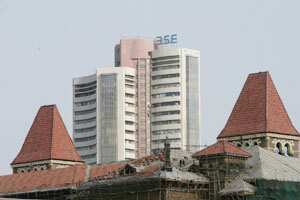 Mumbai: The focus remains on the European Union and its ability to tackle the debt crisis. Overnight, US indices closed in the red after a speech by European Central Bank President Mario Draghi dampened hopes of more bond buying and aggressive aid needed for struggling European nations, reports Wall Street Journal. Asian markets were trading mostly higher on Tuesday morning after clocking steep losses on Monday, reports MarketWatch. Gains were led by automakers. Japan’s Nikkei Stock Average advanced 0.6%, South Korea’s Kospi was up 0.7%, Hong Kong’s Hang Seng gained 0.2% and China’s Shanghai Composite was up 0.5%. Back in India, among individual stocks, Dr. Reddy’s will continue to be in the focus this morning after company decided to exit diabetes and cardiovascular drug research due to the high cost of running clinical trials. The drug maker was not able to find a partner to take its anti-diabetes drug, Balaglitazone through advanced clinical studies. The company will focus on developing chemical molecules for pain relief and fighting infection. While some companies are veering away from taking loans via external commercial borrowings due to the falling rupee, Orchid Chemicals and Pharmaceuticals has received an approval for raising $100 million via ECB. The Chennai-based drug maker has got an approval from banks to raise money via debt to fund $117 million foreign currency convertible bonds (FCCBs) which mature in February. The company will use $100 million to pay back to its bond holders and the rest $17 million will be paid from the internal accruals. As the year ends, car makers such as Maruti and Hyundai Motor India are offering steeper year-end discounts this season to boost sagging sales on some petrol and diesel variants. Car sales have taken a hit due to high interest rates and a slowing economy. According to the Society of Indian Automobile Manufacturers (Siam) data, car sales plunged 3.53% to 1.2 million units in the April-November period from a year ago. Cash-strapped Kingfisher Airlines has run into trouble once again. Lenders have told the airline to pay dues for more loans within a fortnight before they can advance any more money to the company, reports Economic Times. Over the weekend, the Sahara Group agreed to provide ₹ 250 crore to the company, but banks are unwilling to lend money to airlines until pending dues are settled. Kingfisher has around ₹ 6,500 crore debt on its books. A number of mid-sized private banks may hike the non-resident deposit rate after the government de-regulated the interest rates on deposits to increase more rupee remittances to the country to stem the currency falls, reports Business Standard. Federal Bank and South Indian Bank have announced 268-324 basis points rise in their Non Resident External (NRE) rupee term deposits and other private banks may follow suit. Most medium-sized banks are offering higher rates to strengthen their non-resident deposit base. Fortis Healthcare is on track to close a takeover of Singapore-based associate Fortis Healthcare International by the end of the year, reports Reuters. The hospital chain owned by Malvinder and Shivinder Singh will buy the Singapore company for $665 million and is also raising $175 million of debt to fund the deal. This will swell the debt on books to $1 billion. Lastly, the government will have to race against time if it wants to introduce the Lokpal Bill in the parliament because the last day of the winter session is on Thursday, reports the Wall Street Journal. The Lokpal Bill is the hottest item on the political agenda and lawmakers won’t have much time to debate it if the government successfully introduces the bill in the parliament in the next two sessions.